Hajiya Balaraba Ramat Yakubu was one of the earliest authors of what came to be known as the soyayya Hausa literary movement or Kano Market Literature. 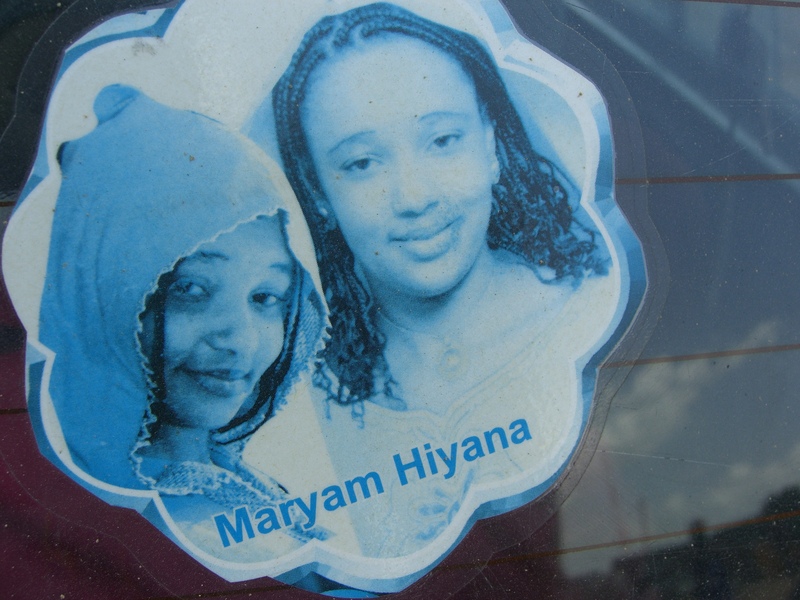 While these books were often disparaged by critics as romance novels and pulp, Hajiya Balaraba’s novels are often muck-raking exposes of abuses that occur in private domestic spaces and make a case for women’s education and independence. Other soyayya books tell love stories from the perspective of Hausa youth and tales of the home from the perspective of women. 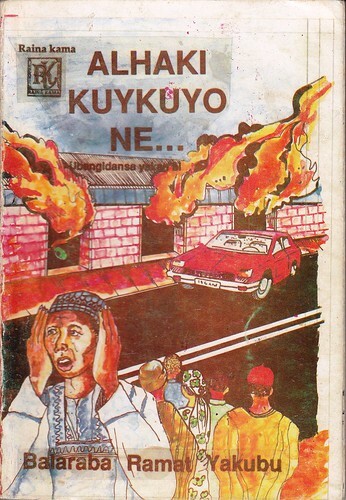 Alhaki Kuykuyo Ne, one of Hajiya Balaraba’s most popular and critically acclaimed novels, tells the story of the family of businessman Alhaji Abdu and his longsuffering wife Rabi, the domestic fireworks that explode when he decides to marry the “old prostitute” Delu as a second wife, and the stories of his children as they make their way in the world with only the support of their mother. Like many Hausa novels, the title is part of a proverb: “crime is like a dog”… (it follows it’s owner). When the wealthy trader Alhaji Abdu marries an “old prostitute,” as a second wife, his family goes through a crisis. 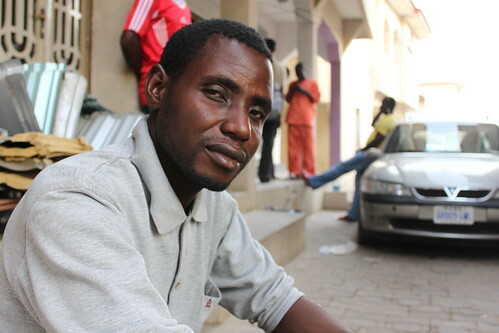 After a fight between the uwargida and her children and the new wife, Alhaji Abdu kicks his first wife and her ten [nine because Alhaji Abdu kept one daughter from another marriage] children out of his house, denies them any kind of support, and refuses to even recognize any of them in chance meetings on the street or when his eldest daughter gets married. What was initially a disaster for the abandoned wife Rabi becomes a liberating self-sufficiency. Supporting her children through cooking and selling food, she is able to put her eldest son through university and see the marriage of her eldest daughter to a rich alhaji. The book follows the story of Rabi, as she makes a life apart from marriage, and her daughter Saudatu, as she enters into marriage. As far as I know, this is the first time a full translation of a soyayya novel has been published internationally. An excerpt of Alhaki Kuykuyo Ne translated by William Burgess was published in Readings in African Popular Fiction, edited by Stephanie Newell, but Aliyu Kamal’s full translation, while it has a few issues, is much better–not quite so stiff. That is not to say there have been no other translations of Hausa literature. There are translations of the works of early authors like Abubakar Imam’s Ruwan Bagaja/The Water of Cure, Muhammadu Bello Wali’s Gandoki, the first prime minister of Nigeria Abubakar Tafawa Balewa’s Shaihu Umar, Munir Muhammad Katsin’as Zabi Naka/Make Your Choice and others. 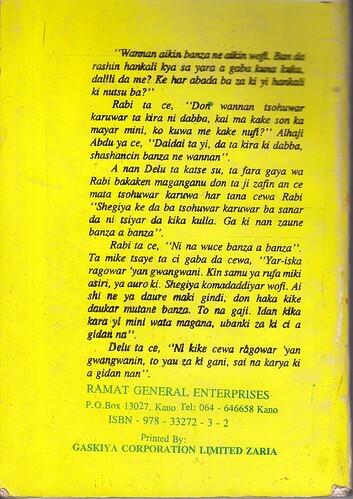 Ado Ahmad Gidan Dabino’s bestselling novel In da So da Kauna (The two part novel sold over 100,000 copies) was translated as The Soul of My Heart, but unfortunately, although the cover illustration (pictured here) was beautiful, the translation was exceedingly bad. It cut a charming novel that was over 200 pages down to about 80, turned witty banter into cliches, and translated out most of the dialogue Gidan-Dabino is so good at. The book needs to be re-translated, this time properly. 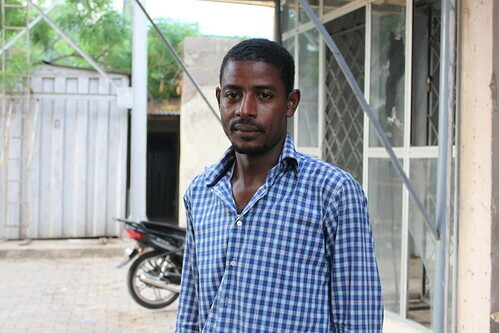 I attempted to translate Gidan Dabino’s novel Kaico!, (an excerpt of the first chapter was published by Sentinel here), but stopped because of lack of time and because I felt like my translation was still too stiff and I needed to immerse in the language a little longer before attempting more translations. 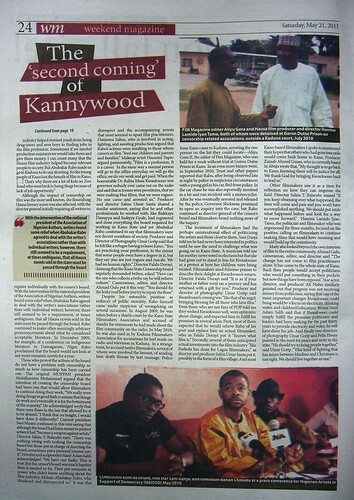 As the editorial of Nigerians Talk today pointed out, we need much more focus on translation in Nigeria. 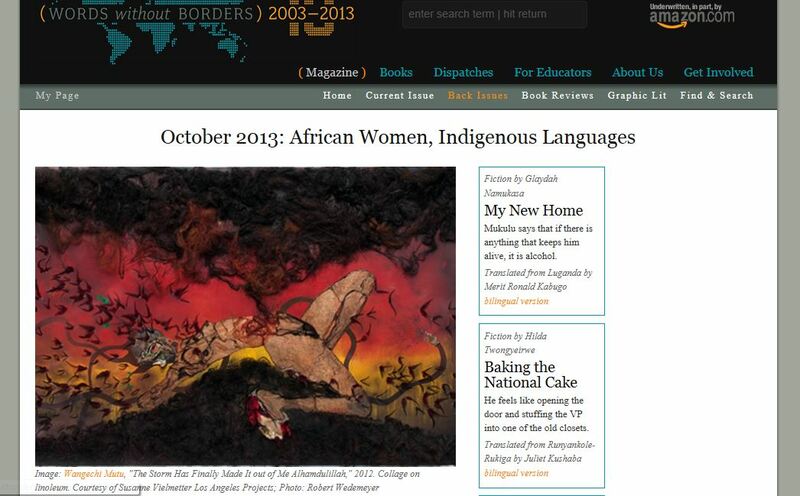 It’s also, we believe, the first time a translation of an African-language work has ever been published first in India. We like the idea of South-South literary exchange, and we wish this sort of thing would happen more often. I hope that some of Nigeria’s publishers will take up the challenge to create their own translation imprints. 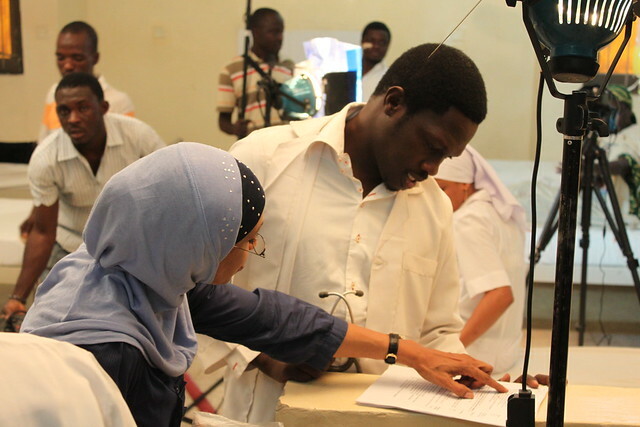 Interview with novelist Hajiya Balaraba Ramat Yakubu. 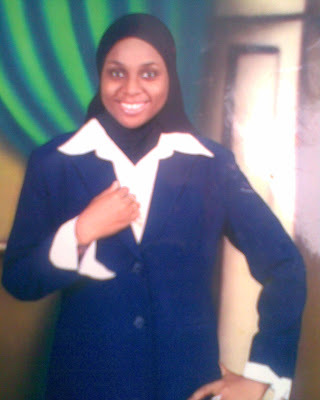 Interview with the first female novelist to publish a novel in Hausa, Hafsat Ahmed Abdulwahid. 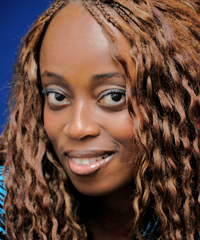 Interview with novelist Bilkisu Funtua. 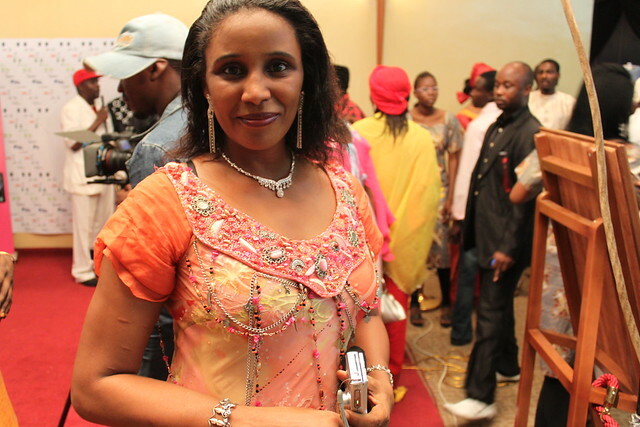 Interview with novelist Sa’adatu Baba Ahmed. 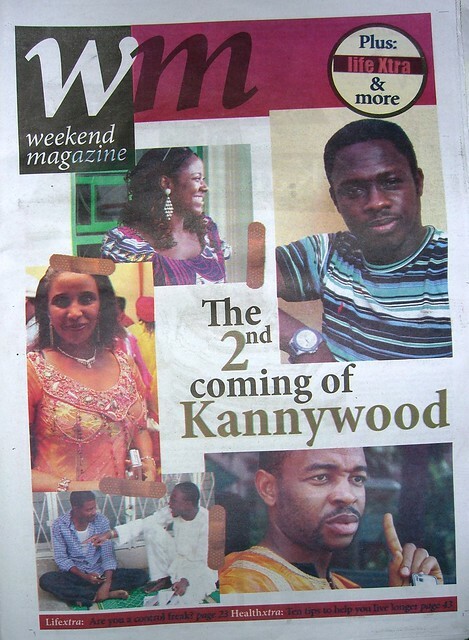 I’m behind on this blog, and there is much more to post, including my trip to Lagos and Yenegoa, for a “Reading Nollywood” conference and the AMAA awards. 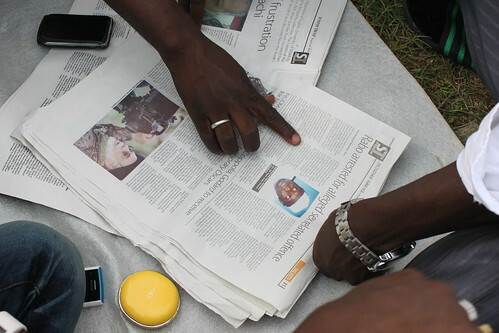 (For an excellent post on AMAA, see my friend Bic Leu’s blog, which uses a lot of the photos I took while there.) 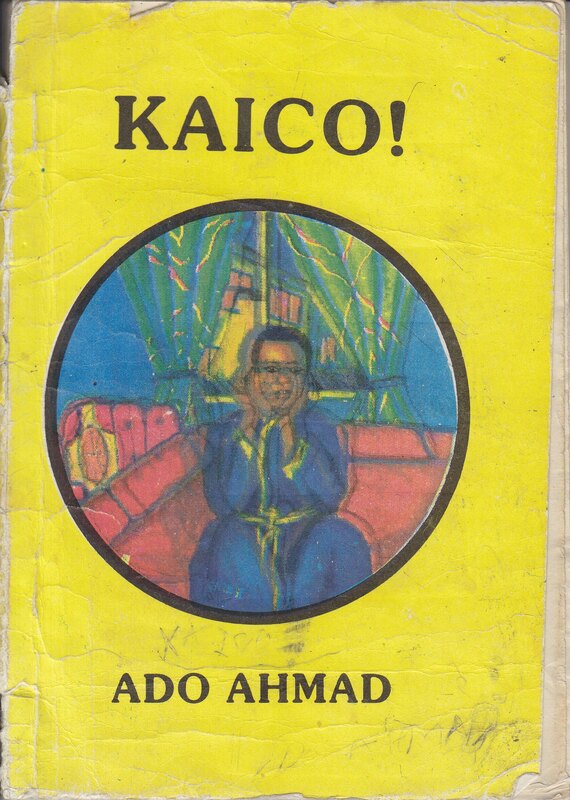 But, in the meantime, here is a link to an excerpt of my translation-in-progress of Ado Ahmad Gidan Dabino’s novel Kaico! 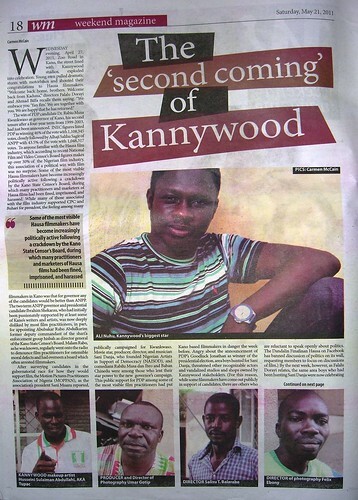 that was published in the March 2011, Issue 5 of Sentinel Nigeria Online. The excerpt comes from the first chapter of the novel, which I have completed three (rough) chapters of so far. In addition to needing to finish translating the entire novel, the translation of the three chapters I have completed still need a lot of polishing and editing. But I do appreciate Sentinel Editor, Richard Ali being so committed to start featuring translations of African-language works that he urged me to send this in as is. 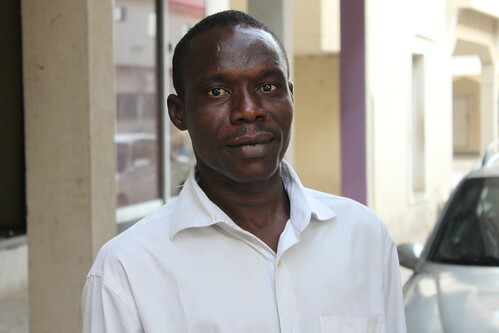 Ado Ahmad Gidan Dabino is the bestselling author of In Da So Da Kauna, a Hausa language novel that sold over 100,000 copies. 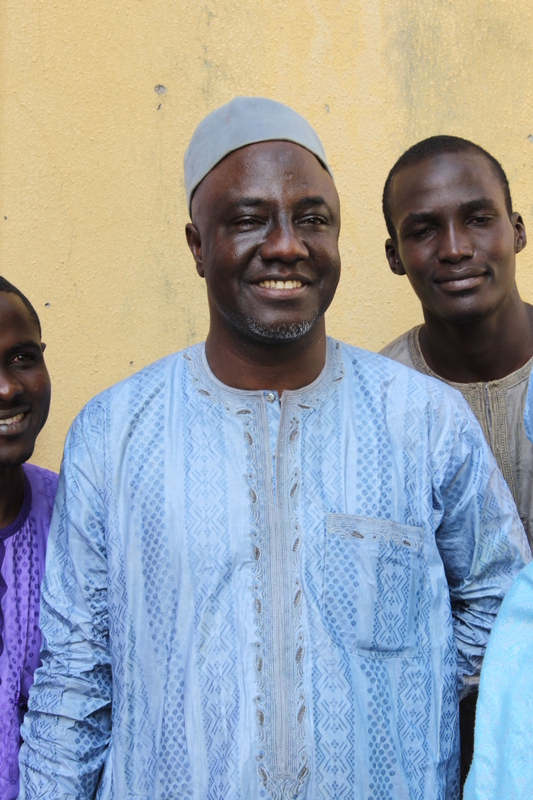 Winner of the 2009 Engineer Mohammad Bashir Karaye Prize in Hausa Literature for his play Malam Zalimu, he is also a founding member of the Hausa film industry, and has produced or directed sixteen films in Hausa, including his most recent Sandar Kiwo, which has been shown internationally. 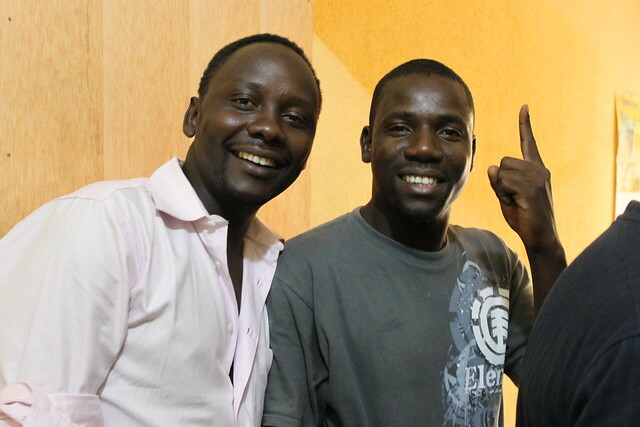 On Monday, the 23rd day of Ramadan, after we broke fast, my good friend Kabiru visited our house. I saw him as he came into the room, and I quickly got up and grabbed his hand. “Kai, look who we have here in town today. Kabiru, ashe, are you around? Long time no see!” I said, holding on to his hand. “Oh, I know. I just asked to see what you would say.” We both smiled. “Ai, well, that’s why you should marry relatives. They know you. You know them. If you take the bait, it’s not my fault,” I laughed. “I’m listening. What’s up?” I tilted my head to one side to listen. Unfortunately, the English translation published by Sentinel extends beyond the Hausa that was also given, and I have currently misplaced my copy of the book, but as soon as I find it, I will put up the Hausa portion of this excerpt for a side-by-side comparison. To read more, see the Sentinel site. Hausa novelist Ado Ahmad Gidan Dabino and (translator) Carmen McCain in his office, August 2005. 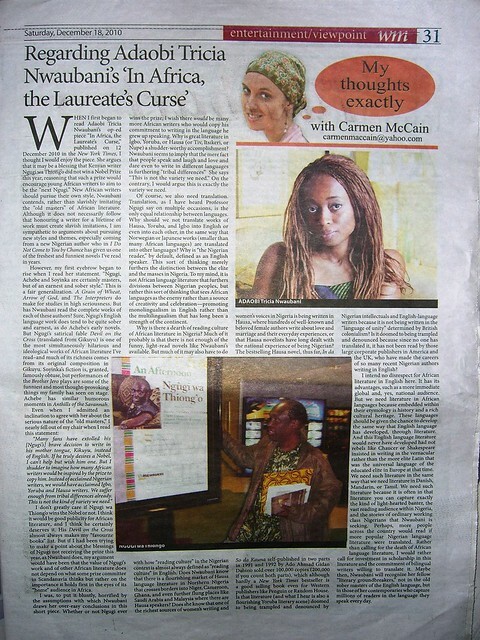 When I first began to read Adaobi Tricia Nwaubani’s op-ed piece “In Africa, the Laureate’s Curse,” published in on 12 December 2010 in the New York Times, I thought I would enjoy the piece. [If you have trouble finding the full text of the article without signing into the New York Times site, you can find it copied over onto the USA/Africa Dialogues blog and now also on the NEXT website.] 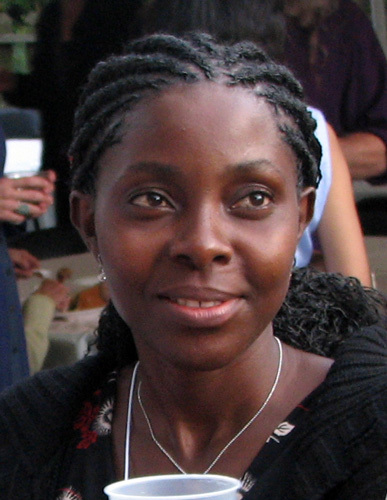 She argues that it may be a blessing that Kenyan writer Ngugi wa Thiong’o did not win a Nobel Prize this year, reasoning that such a prize would encourage young African writers to aim to be the “next Ngugi.” New African writers should pursue their own style, Nwaubani contends, rather than slavishly imitating the elders of African literature. Although it does not necessarily follow that honouring a writer for a lifetime of work must necessarily create slavish imitations, I am sympathetic to arguments about pursuing new styles and themes, especially coming from a new Nigerian author who in I Do Not Come to You by Chance has given us one of the freshest and funniest novels I’ve read in years. Nwaubani has been the Nigerian author you are most likely to hear me recommending as a good read this year. However, my first eyebrow began to rise when I read her statement. “Ngugi, Achebe and Soyinka are certainly masters, but of an earnest and sober style.” This is a fair generalization. A Grain of Wheat, Arrow of God, and The Interpreters do make for studies in high seriousness. But has Nwaubani read the complete works of each of these authors? Sure, Ngugi’s English language work does tend to be quite sober and earnest, as do Achebe’s early novels. But Ngugi’s satirical fable Devil on the Cross(translated from Gikuyu) is one of the most simultaneously hilarious and ideological works of African literature I’ve read–and much of its richness, I think, comes from it’s original composition in Gikuyu. Soyinka’s fiction is, granted, famously obtuse, but performances of the Brother Jero plays are some of the funniest and most thought-provoking things my family has seen on stage. Achebe has similar humorous moments in Anthills of the Savannah. I don’t greatly care if Ngugi wa Thiong’o wins the Nobel or not. I think it would be good prestige for African literature around the globe, and I think he certainly deserves it. Ngugi’s Devil on the Cross almost always makes my “favourite books” list, and I would be delighted if he received the Nobel in the future. But were I trying to make a point about the blessings of Ngugi not receiving the prize this year, as Nwaubani does, my argument would be that the value of Ngugi’s work and of other African literature does not depend on the judgment of some prize committee in Scandanavia, which has made quite conservative selections in the past, but rather on the importance it holds first in the eyes of its “home” audience in Africa. I was, to put it bluntly, horrified by the assumptions with which Nwaubani draws her over-easy conclusions in this short piece. Whether or not Ngugi ever wins the prize, I wish there would be many more African writers who would copy, not him, or his style, but his commitment to writing in the language he grew up speaking. Why is great literature in Igbo, Yoruba, or Hausa (or Tiv, Itsikeri, or Nupe) a shudder-worthy accomplishment? Nwaubani seems to be implying that the mere fact that people speak and laugh and love and dare even to write in different languages is furthering “tribal differences” She says “This is not the variety we need.” On the contrary, I would argue this is exactly the variety we need. Of course, we also need translation. Translation, as I have heard Professor Ngugi say on multiple occasions, is the only equal relationship between languages. Why should we not translate works of Hausa, Yoruba, and Igbo into English or even into each other, in the same way that Norwegian or Japanese (smaller languages than many African languages) works are translated into other languages? Why is “the Nigerian reader,” by default, defined as an English speaker. This sort of thinking merely furthers the distinction between the elite and the masses in Nigeria. 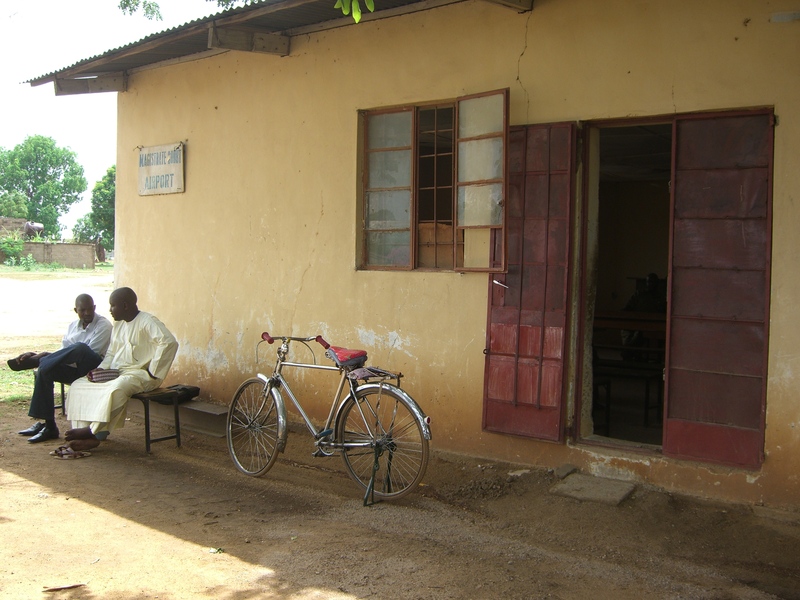 To my mind, it is not African language literature that furthers divisions between Nigerian peoples, but rather this sort of thinking that sees African languages the enemy rather than a source of creativity and celebration–promoting monolingualism in English rather than the multilingualism that has long been a strength of the continent. 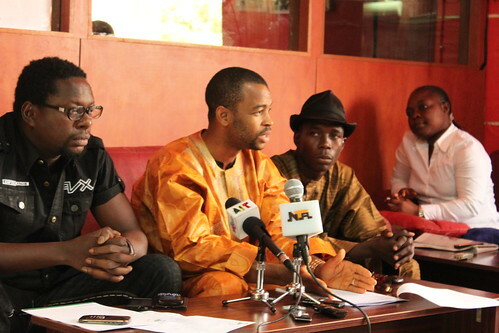 Why is there a dearth of reading culture of African literature in Nigeria? 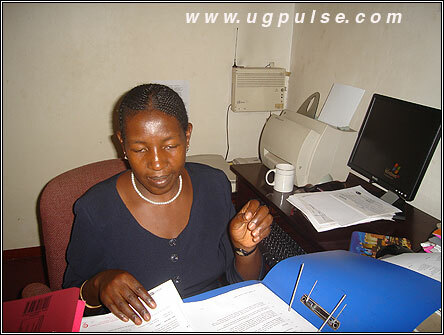 Much of it probably is that there is not enough of the funny, light-reading novels like Nwaubani’s available. But much of it may also have to do with how “reading culture” in the Nigerian context is almost always defined as reading culture in English. 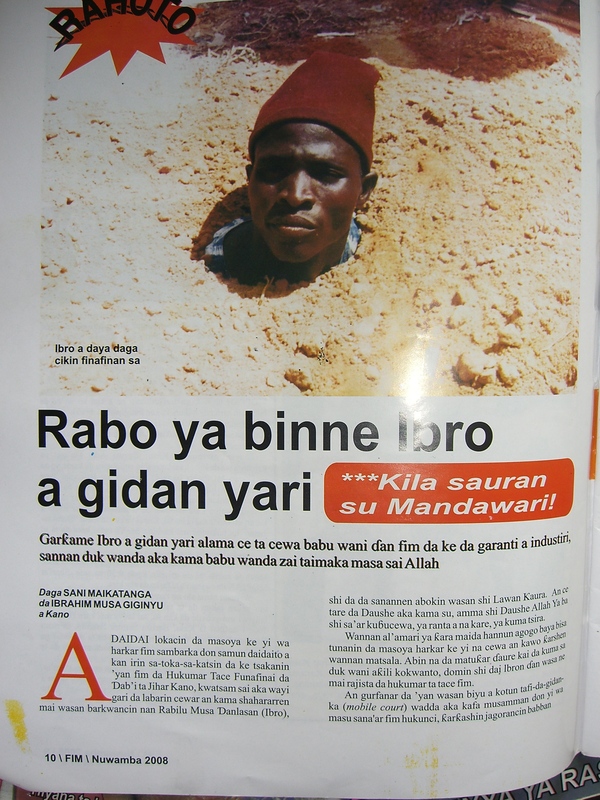 Does Nwaubani know that there is a flourishing market of Hausa language literature in Northern Nigeria that crosses borders into Niger, Cameroon, Ghana, and even further flung places like Saudi Arabia and Malaysia where there are Hausa speakers? 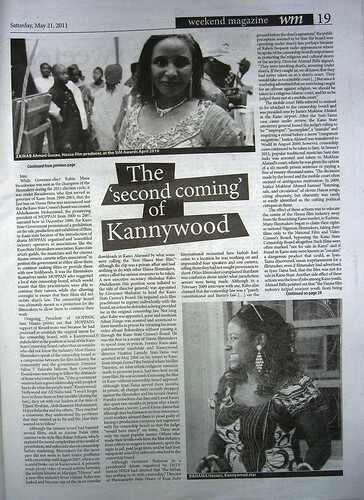 Does she know that one of the richest sources of women’s writing and women’s voices in Nigeria is being written in Hausa, where hundreds of well-known and beloved female authors write about love, marriage and their everyday experiences, or that Hausa novelists have long dealt with the national experience of being Nigerian? 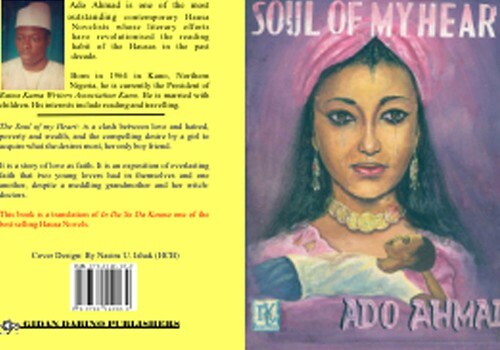 The bestselling Hausa novel, thus far, In da So da Kauna self-published in two parts in 1991 and 1992 by Ado Ahmad Gidan Dabino sold over 100,000 copies (200,000 if you count both parts), which although hardly a New York Times bestseller is a good selling book even for Western publishers like Penguin or Random House. Is that literature (and what I hear is also a rather flourishing Yoruba literary scene) doomed to be trampled and denounced by Nigerian intellectuals and English-language writers because it is not written in the “language of unity,” which because of the history of colonialism happens to be English? Is it doomed to be trampled and denounced because, since no one has translated it, it has not been read by those large corporate publishers in America and the UK, who have made the careers of so many recent Nigerian authors writing in English? I intend no disrespect for African literature in English here. It has its beauties and its advantages, such as a more immediate global and, yes, national audience. But we NEED literature in African languages because embedded within their etymology is history and a rich cultural heritage that we will lose if they die. These languages should be given the chance to develop same way that English language literature has developed, through literature. And this English language literature would never have developed had not rebels like Chaucer or Shakespeare insisted in writing in the vernacular rather than the more elite Latin that was the universal language of the educated elite in Europe at that time. We need such literature in the same way that we need literature in Danish, Mandarin, or Tamil. We need such literature because it is often in that literature you can capture exactly the kind of light-hearted banter, the vast reading audience, and the stories of ordinary working class Nigerians that Nwaubani is seeking. Perhaps, more people across the country would read if more Nigerian language literature were translated. Rather than calling for the death of African language literature, I would rather call for the investment in scholarship in and publication of this literature and the commitment of writers willing to translate it. Maybe then, Nwaubani will recognize her fellow “literary groundbreakers,” not in the old sober masters of the English language, but in those of her contemporaries who capture millions of readers in the language they speak every day. [UPDATE 13 February 2011. I am currently uploading photos and links to some my column in the Weekly Trust. I used this essay, slightly edited, as one of my columns on 18 December 2011: “Regarding Adaobi Tricia Nwaubani’s ‘In Africa, the Laureate’s Curse.’” To read the piece in the original version, click on the photo below which will take you to a photo large enough to read. There were several funny things I thought I should note. 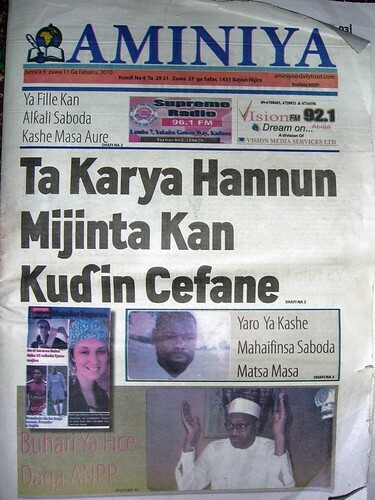 First of all, the headline on the front page of Aminiya is “Ta Karya Hannun Mijinta kan Kud’in Cefane”/”She broke her husband’s arm over cooking money.” Aminiya typically features sensational tabloid-style headlines to human interest stories like this. 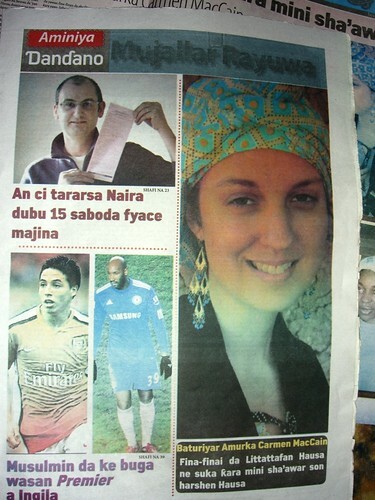 I laughed when I saw it though, because of all the photos on the front of the paper, mine is the only one of a woman. So, naturally, the reader might think that there is this crazy baturiya who broke her husband’s arm…. Here is a summary of the interview in English. 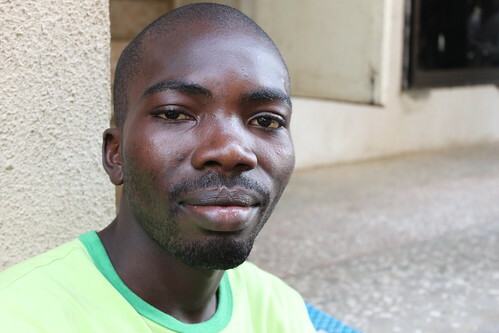 Malam Bashir asks me how I started to become interested in Hausa. I tell him that I grew up in Jos, where my father is a professor at the University of Jos, and I started learning Hausa there. But when I started my MA degree at the University of Wisconsin, Madison, I was required to learn an African language and decided to continue with Hausa. 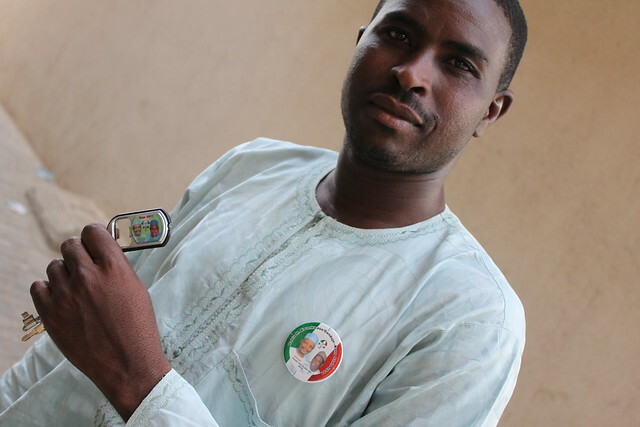 I went to Sokoto, where my teacher Dr. Malami Buba brought me Hausa novels and films. I had been planning to base my research on English language Nigerian literature, but when I started watching Hausa films and reading Hausa novels, I realized that there were a lot of people outside of Hausa speaking areas who had no idea it existed, even to the point where people often complain about the lack of reading culture in Nigeria. But I saw it was not the case in the North where people were reading Hausa. He asked me what I could say about Hausa writers and filmmakers. I said that they really impressed me. I said I had always been interested in writer’s movements and the history of literature [such as the Romantic poets etc]. When I came to Hausaland, I realized that the sort of literary/art movement I had always been interested in was happening here in Hausa. I said that I was impressed by how writers and filmmakers and singers often worked together. I mentioned Ibrahim Sheme’s novel ‘Yar Tsana as particularly impressive and said I also loved the novels of Balaraba Ramat Yakubu, Ado Ahmad Gidan Dabino, Nazir Adam Salih, etc. He asked me about which films most impressed me. This was the most embarrassing part of the interview because there were films I wanted to talk about but I couldn’t remember their names. 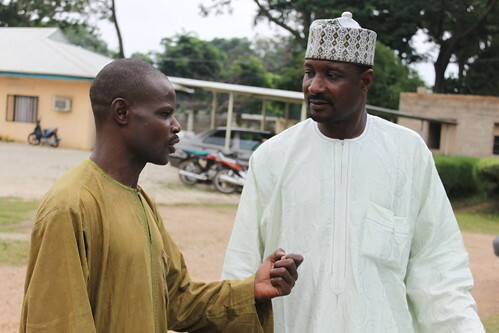 I mentioned Sani Mu’azu’s film Hafsat and the film Zazzab’i. 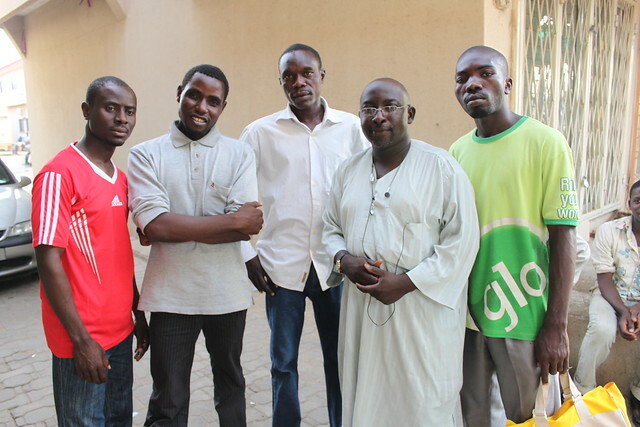 He asked me about the importance of the Hausa language in the world. I said it was one of the most important languages in Africa, that some statistics show it has more speakers than Swahili, which means it is the largest language spoken in Africa after perhaps Arabic. I also thought that the proliferation of Hausa films and novels was helping the development of Hausa. 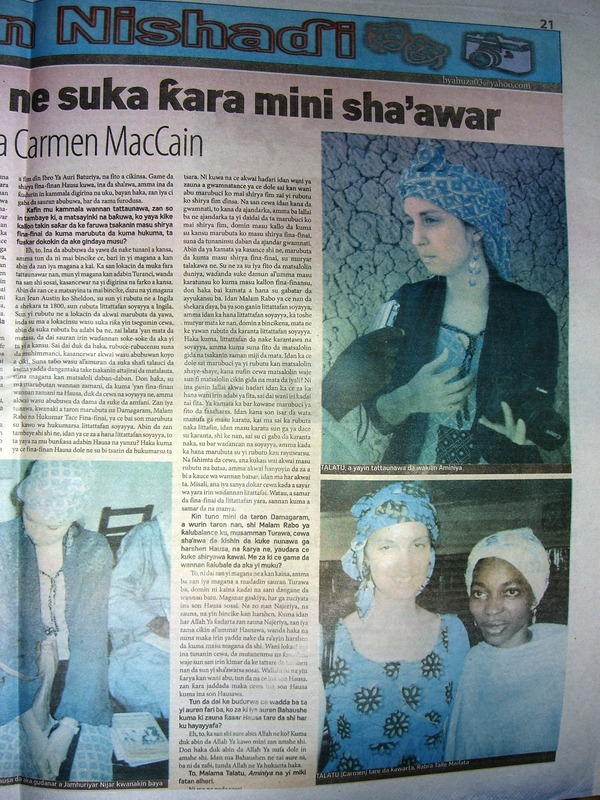 I gave the example of those who were not of Hausa ethnicity but who enjoyed the films. I mentioned also that when visiting the office of VOA-Hausa earlier that year, one of the reporters showed me some Ghanaian Hausa films made in Accra. 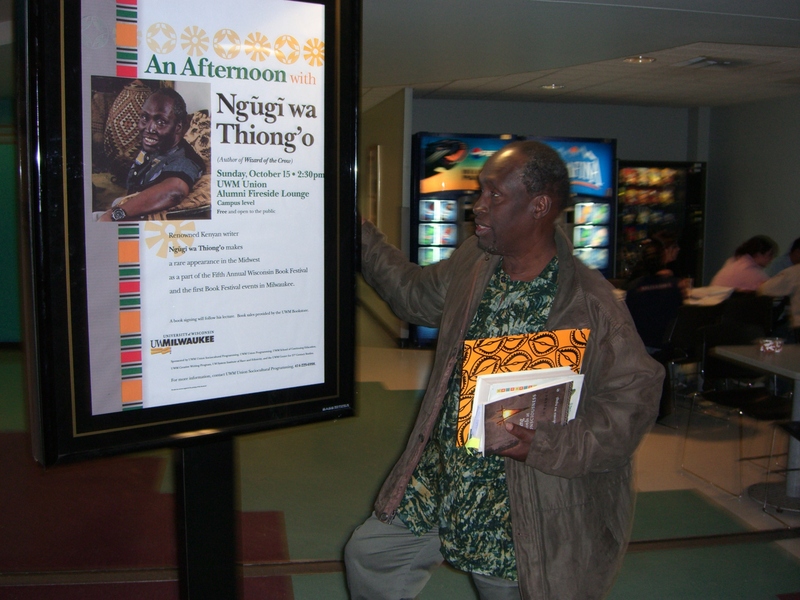 I further mentioned the writer Ngugi wa Thiong’o who is always talking about the importance of writing in African languages. Also if we look at the history of literature in English, if writers like Shakespeare [Chaucer] etc had not chosen to write in their own languages, although English was not yet the language of power at the time, English would be a much poorer language and we would not have these great literary works with us. He asked me if I was thinking about writing a book in Hausa. I said that there were certainly writers who wrote in languages of their adopted countries, like the Polish-British writer Joseph Conrad and the Russian-American writer [Vladimir Nabokov]. However, I said that my Hausa was not strong enough to write a book yet, but maybe if I lived in Northern Nigeria for the next fifty years, my Hausa would be good enough to write creatively in it. Right now I write in English. I’ll skip the next question and move on to the first question on page 21, where he asked me what I think about what happened between filmmakers, writers, and the Kano State Censorship Board. I said that I had much to say about this but I would focus my comments on my own area of expertise. Since I know about literature and the history of literature in English, I would talk about the parallels between what I saw here and what happened then. I said that Jane Austen and the Bronte sisters [which somehow got transcribed as “Jean Austin and Sheldon”] were writing in England during the 1800s, and they were writing about love. They were writing during a time when there were lots of books floating around [Gothic romances etc] that people said were not great literature, that these novels were spoiling the upbringing of young girls etc (the same things that are being said now about Hausa literature). But I said that though the novels of Austin and the Brontes talked about love, they also talked about other social issues of the time, poverty, and class and injustice. 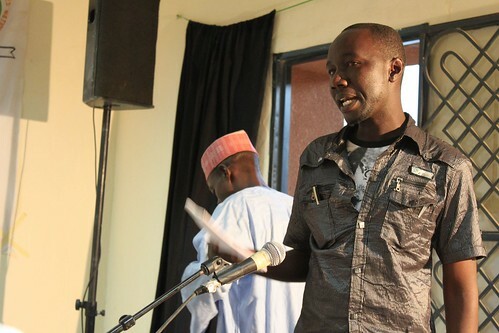 I said that we could draw a parallel between this English literature and contemporary Hausa literature. Although there are films and novels that focus on love, there are also a lot of other social issues that are caught up in these stories. 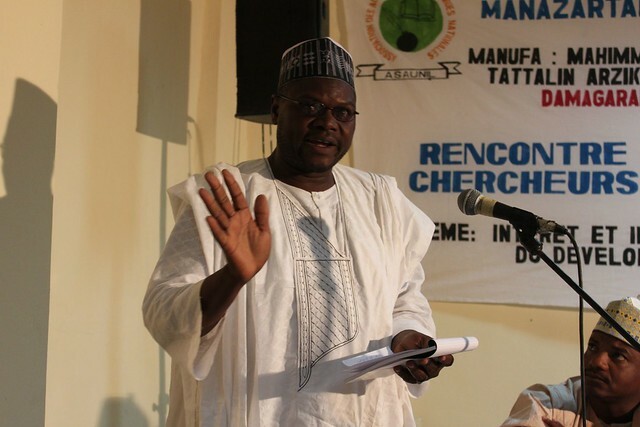 During the conference in Niger, Malam Rabo (the head of the Kano State Censorship board) proclaimed that he would not read any more love stories for a year [he said that writers should focus on more “important” social problems like declaiming drug use, etc]. But I would ask him, if he says he will ban love stories, what will that do to Hausa literature and films? There is danger if there is someone sitting in the government saying that writers and filmmakers must write or make films about certain prescribed issues and not about others. There should be some amount of distance between creative artists and the government, because the writers and filmmakers are the voice of the ordinary people. They have the power to present problems that ordinary people suffer, so they shouldn’t be prevented from bringing these things out. 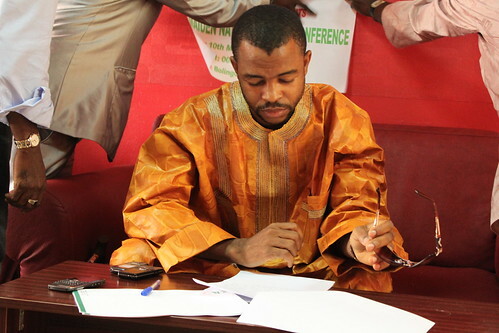 Also, if Malam Rabo says that for a year he will refuse to read love stories at the censorship board, this is a way of suppressing the voice of women, because many of the stories classified as “littattafan soyayya”/love stories are those novels written by women. Also, these books might deal with romantic love but they are also about problems of the household and the relationships between husbands and wives. If you say that writers must write about the problems of drugs etc., it seems that you are saying that the problems on the street are more important than the problems of the household or the family. I believe it is very dangerous to say you are going to ban an entire theme in literature and only allow the themes you are interested in. Each writer should be allowed to write on those things that he or she wants to write about. If you want to send a message to the readers, then you can write your own book. If the readers like it, then they can read your book and leave behind the love stories, but one mustn’t prevent writers from writing about their lives. There are a lot of complaints about writers writing on adult themes that spoil the upbringing of children, but there are other avenues to address this beside issuing bans. For example, there could be a law passed [like that of the National Film and Video Censors Board] that books with adult themes cannot be sold to children–there can be a differentiation between books written for children and those written for adults. 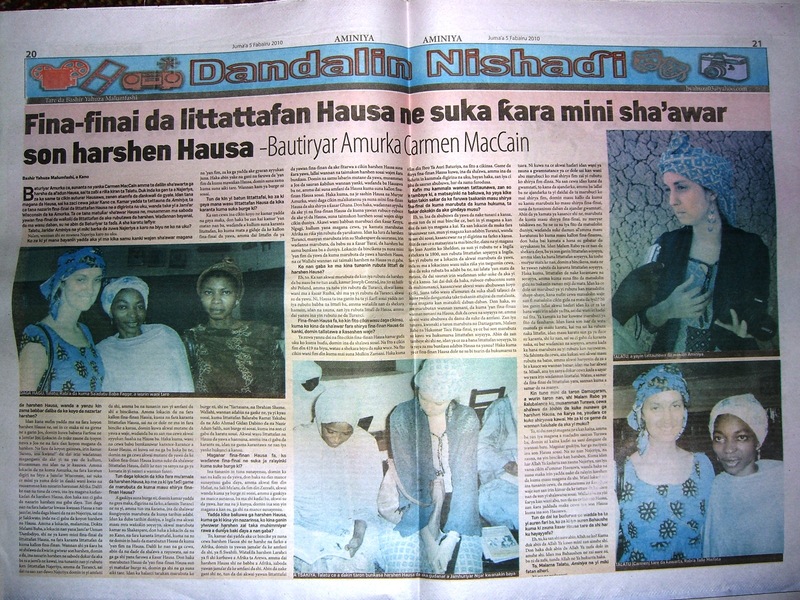 Bashir Yahuza Malumfashi asks me about what I think about Malam Rabo’s statement at the writer’s conference about how the foreigners and Europeans who said they were interested in Hausa language and culture were not really interested in it–that they were just tricking and deceiving people for ulterior motives. I say that I can only talk about myself–that there is no way that I can know about the motivations of every other European or foreigner who comes here. But I said that I truly do love Hausa language, literature, and culture. 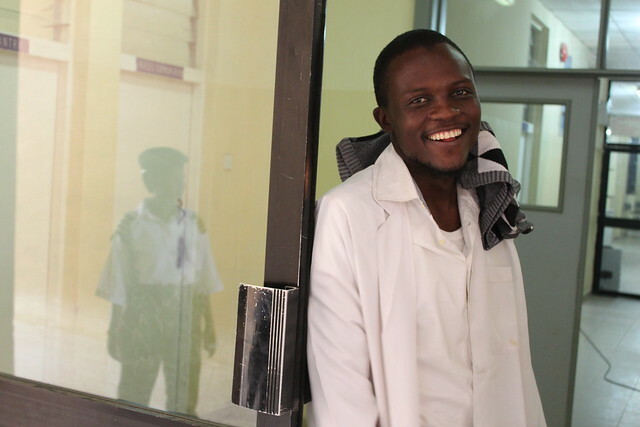 I came here to this country to do research and I would love to stay and live here and continue to raise the interest of those outside in Hausa language and culture. I am certainly not lying about this. I truly love Hausa and Hausa people. He finally asks me about my marital status and whether I could marry a Hausa man and live here. I said that marriage is according to God’s will, and that I will follow whatever God has prepared for me. For those in Abuja, I will be presenting today on the importance of contemporary Hausa literature to national and world literature. You are welcome to come heckle me. Greenlines Restaurant, 11 Aba close off Ogbomosho Street, Area 8, Garki. 5pm. Friday.